The following information have been provided by Martina Pook. If you are one of those artists who either believe not being good at business or otherwise passionately avoid it, here some food for thought. Why is it that we fend of "business knowledge" so passionately, when at the same time, we accept any jobs outside of art, just to make a living? Working in a job we don't like is accepted, but learning basic business skills is considered as something we have no time for. Business can be learned by anyone, even those who don't have a streak in their bones. Once this useful knowledge is acquired it generates incredible satisfying freedom and eventually becomes second nature. Ah and the feeling of actually knowing what you are doing has to be called somewhat thrilling. For some this must sound like the worst nightmare. "I don't have time for this and wouldn't know how to do it anyway" is the usual reaction. I cannot stress enough how lives have been changed when business planning has been adopted. Some of the most brilliant ideas have been born this way. The best and probably easiest marketing plan is offered by the Australia Council titled: "What's My Plan". It can be either downloaded or ordered online for free in book format. Over the many years in my career I have encountered some pretty bad assistance from accountants, as well as really great advice. And it was almost always the accountants who had specialised within the arts sector who corrected the mistakes of the others. There are brilliant accountants who have advocated their skills entirely to the art sector. Everybody can have a Website or Blog these days, no matter the skills or budget. It is still the most cheapest marketing tool. There are numerous free Website builders these days, and often as easy to use as working in Microsoft Word. There is a handy AbaF Fact Sheet in regards Websites for artists. 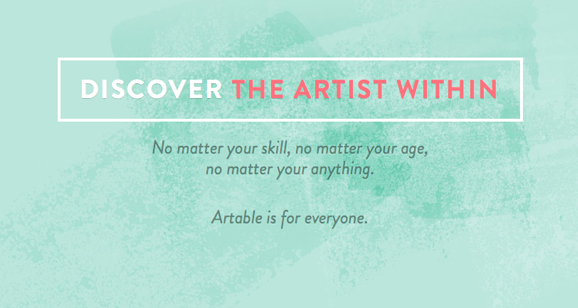 Art Websites Every Artist Should Know! An artists statement can be seen as your personal answering tool and information source about you. Write a statement that truly everyone understands, not only a few selected. It is a common mistake to think it has to be out in the clouds, yet does not really sell your art. Please read here one of the best explanations of what an artist statement really is about, namely another great selling tool. Writing grant proposals, gosh the work..... too difficult.... and time-consuming, yet so worth the work. It is like getting between a months to a years income for just a bit of preparation. Grants do not need to be paid back, unless it was a loan. How astonishing hearing arguments about the involvement of time, when it takes most of us to work for $5000 to $20,000 spare money months or years. So writing a proposal is a lucrative logical option. It is often only the first application which needs more work, once you have done it, it becomes easier each time. Find here a Complete Grant Writing Guide from Regional Arts NSW. To apply for grants is just another part of an artists life. Social networking is today's way to communicate with your customers and can include tweets, blogs and posts. There are literally thousands of artists and arts organisations taking advantage of social media. The Sydney Morning Herald says: "Every night in theatres around Australia, audience members are tweeting: during interval, after the show and sometimes, mostly surreptitiously, during the show itself." It is another cheap way of advertising and marketing. Many opportunities are missed by artists who are not familiar with media writing. For most artists, every little bit of extra publicity is helpful. A press release is quick and cheap option, and once done a few times becomes second nature. Every time something is up, an exhibition, a larger project, your work is related to some event or a good story, is food for the media. But even just plain information on your art and yourself can do at times, as newspaper need to fill their pages with something. Media releases have a certain kind of structure you should be aware of, it's plainly a pyramid system. The first paragraph should always contain the 5 W's: Why, Where, When, Who and What. Every following sentence is written by importance, with the least important last, as journalists see them as throw away lines. Probably the most important issue when pricing your artwork is to understand the most common mistakes made by artists. Understanding the pitfalls will help you to get a solid career going. Doubtless the best Australian source for pricing your art, be it for exhibition work, commissions or licencing is available from NAVA. The Artists' Scales of Fees & Wages (RRP: $12, Member Price:$10). This booklet provides advice and reference data for areas including: fees for studio space, public and new media artists, loan fees, copyright fees, fees for illustration and freelance writing, as well as rates of pay for curators, arts administration and teaching. It goes without discussion that artists should know about their rights and obligations, including copyright, commissions and contracts etc. It is more about knowing the pitfalls of the industry and unfortunately too many budding artist are learning basic survival skills by making big mistakes. I have seen hundreds of times where people take commissions without a proper contract or any up-front part-payment, due to feeling uncomfortable to use such standard rights, and yet when something goes wrong wished they would have never taken the job in the first place, and wasn't it odd that the client wasn't willing to have anything confirmed on paper? I have been running business workshops for artist for over 12 years now and the stories I hear at times are heartbreaking and avoidable. If you wish to organise a workshop in your area, get in contact with your local art organisations or just get a group of people together to book our workshop. http://www.goldcoastartclasses.com/workshops.html. Pretty much every artist will at some point of their career work on commissions, yet what often starts as a great project can get badly wrong. We recommend to buy the very low priced commission contracts from the Arts Law Centre of Australia, as those contracts have been written by professionals who are interested in the well-fare of artists. What insurance should an artist have and why? And where to get affordable insurance? Contracts are more important than most artists realise. It is a perfect way for both parties involved, because if something ever goes wrong, it seems to be a common sudden human condition that everybody develops some sort of amnesia. Anything agreed on verbally with a price attached is by law binding and there should be no reason to see contracts as something foreign or intimidating. From my personal experience the only people really having problems to sign a contract, are those who's dealings are not legitimate and many artists have to learn this the hard way, later wishing never having entered into a working relationship with those customers in the first place. Make sure your client understands that a contract is as much for their protection as yours. Why not book a business workshop to your area? You could also contact any of your local arts organisations to see if others are interested in running a one day workshop near you. Or write a funding application to the Regional Arts Development Fund in your area. To talk or for more information about this option contact us per e-mail. Have you mastered colour fully? Are you able to mix any colour from the double primaries plus white? If you live in the Gold Coast or Brisbane area, you may want to pop into our place. Colour is our strength and we have taught hundreds to mix colour in the shortest of times. Or contact any of your local art organisations and see if they can organise a workshop for you. One day Colour Workshops can booked anywhere in Australia.